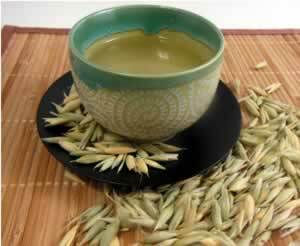 Avena (oatstraw) herb teas are very soothing to the nerves and have a slightly sweet and mild flavor. Oatstraw tea can be sipped throughout the day. Blends very well with Chamomile. Soothing and nourishing, these herbs are good for anyone whose nervous system feels frayed or stressed. Recipe Instructions: Herbal Tea :Use 1 to 2 teaspoons of dried oatstraw, oat tops, or a oat/chamomile mix for each cup of water. Infuse gently with hot water in a closed container. Strain after 10 minutes and drink freely.